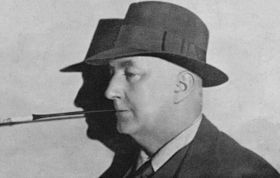 About the author: Here is a Wikipedia article on Edgar Wallace. He also authored The Day of Uniting in the Mystery League series. La Florette, a dancer, claims to be French but lets a Cockney accent slip occassionally. Benson, his butler, who also knows how to find out things. Brother John, an ex-priest, curious about Betty's stint in the window (names shown in red indicate those unfortunates who do not survive the novel). Brother John does not even survive two pages. Synopsis: Betty Carew and La Florette work in the theatre, but when the play closes early Betty is compelled by her guardian Dr. Laffin to take a job from Pawter Publicity Services posing in a store display window; ostensibly advertising a unique desk. The real purpose is to deliver a message to a stranger who may show up at some point and ask for it. Once the message is delivered, the display window job is done. Dr. Laffin takes Betty home, and locks her prisoner in her room. Bill Holbrook and Toby Marsh observe, conspire, break in, and release her. .
Betty returns to the theatre. She is approached and questioned by Brother John, a member of the shady fraternal organization Proud Sons of Ragousa; whose only purpose seems to be running a lottery. Brother John meets his end on the street immediately following. Bill Holbrook joins the Ragousas in an effort to infiltrate it. The Ragousas kidnap Betty in the belief she is destined to be their new leader. Soon the action moves to an ocean liner bound for New York, with all the principal characters aboard, and apparently the evil Dr. Laffin too. The Ragousas are aboard also, with their eyes on plundering a cash shipment to the US. 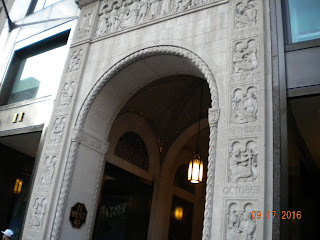 Last year, on a trip to New York City, I went on a little spy expedition to take a look at the League's published address of 11 West 42nd Street, to see if anything recognizable remained after - what? almost 90 years. Here is what I found. 11 West 42nd St. is directly across 42nd St. from the New York Public Library, with its lions Patience and Fortitude standing guard, so we are definitely in the literary district. 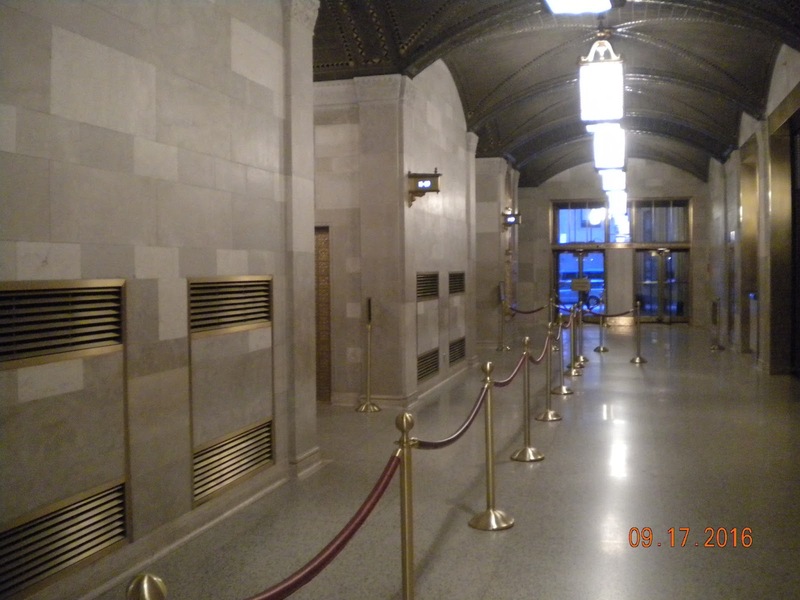 The building's exterior is unchanged from when it was built. 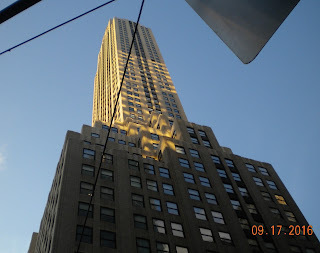 Doesn't this look like it could be Superman's Daily Planet? The grand entrance. The octagonal sign confirms we are in the right place. Oh my, look at the carvings surrounding the doorway! This must be the doorway through which the staff of The Mystery League reported to work. A better view of the door surround. 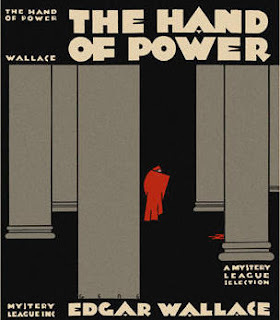 Note the art deco style of writing - all the rage when the League's books were published. The door was open, so in we went, and through the revolving door. The lobby is open to the public. Elevators are on the left. On the right, out of view here, is a directory of businesses having space in the building; and an attendant/guard who will check you in - and maybe grant you admittance beyond the velvet rope. 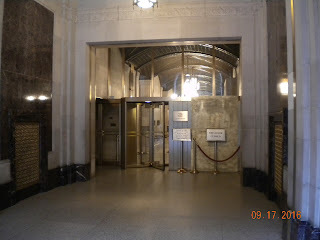 Since we had no legitimate business in the building, we did not go any further than the lobby. Be still, my heart! What an artifact! 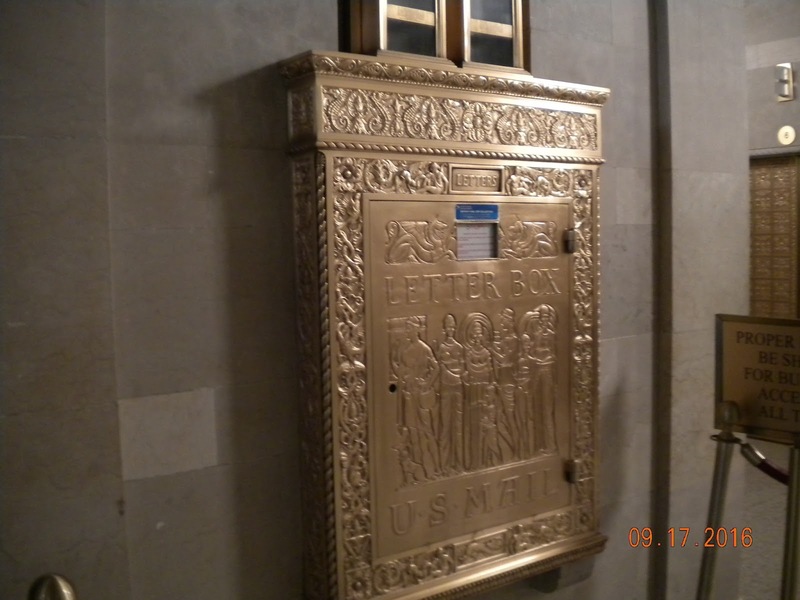 The central outgoing mailbox is still here! The glass tubes extend to all upper floors, and mail can be slid into a slot on any floor and whoosh down to a crash landing here. I remember (in other buildings) the fun of seeing mail go tearing down through intermediate floors. This would be the very mailbox in which the League's outgoing mail was posted. We imagined contracts and royalty checks to authors, answers to reader inquiries, and notifications to Baffle winners all passing through this ornate receptacle. I hope you have enjoyed this little visit to 11 West 42nd. St.! 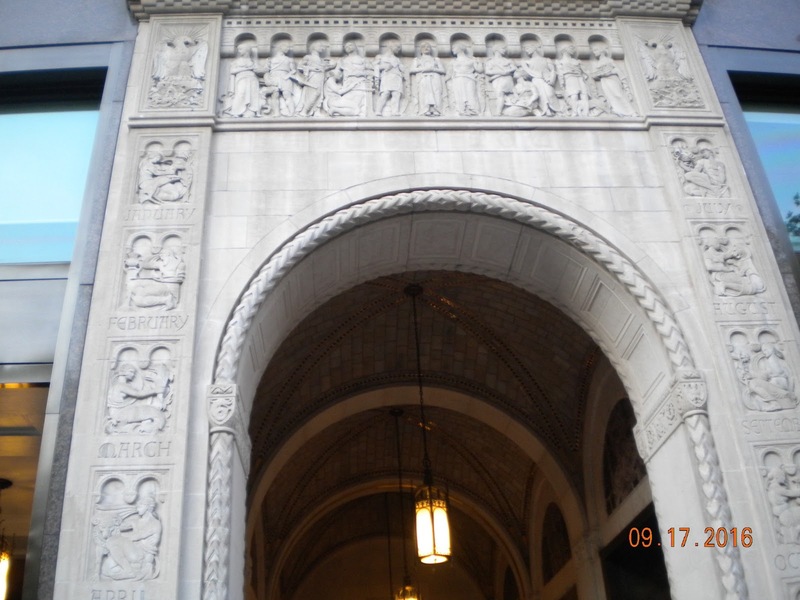 If you find yourself in NYC, step across 42nd street from the New York Public Library and take a peek for yourself.